This mask is made of metal and is has black flocking. 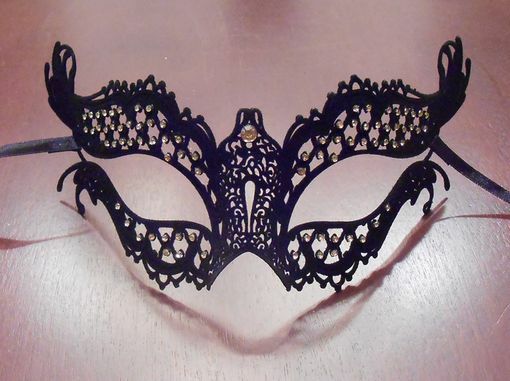 Also mask is accented with faux gold crystals. Great for any Venetian style or black tie event. Mask comes with black ribbon ties.